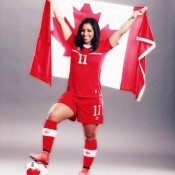 Winnipeg-born professional soccer player (and certified zumba instructor) Desiree Scott began playing soccer at age eight, because she wanted to be just like her older brother. 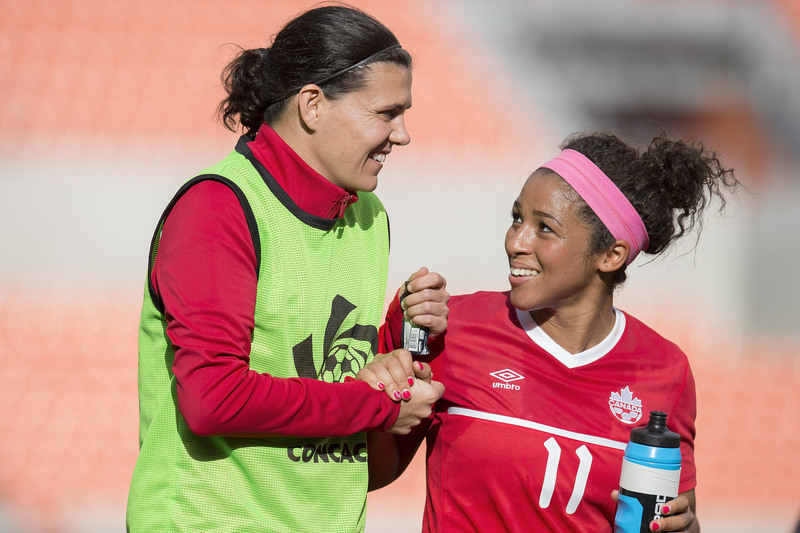 Growing up, Desiree played as many sports as she could, including track, volleyball and basketball, but had a knack for soccer, making Canada’s U-16 and U-19 National Teams while in high school. 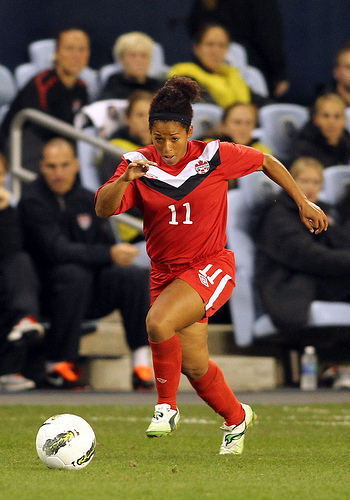 After playing for several different pro teams, Desiree made her first international appearance for the Senior National team at the Cyprus Cup in 2010. 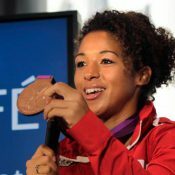 From there, Desiree was selected to the Canadian National Team, and helped her team to a bronze medal at the London 2012 Olympics. 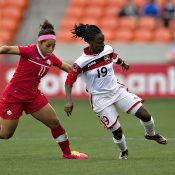 At this year’s CONCAF tournament, Team Canada qualified for the Rio Olympics, and Desiree made her 100th international start. In Rio, Desiree and the rest of Team Canada are looking to not only defend their bronze but improve upon it. 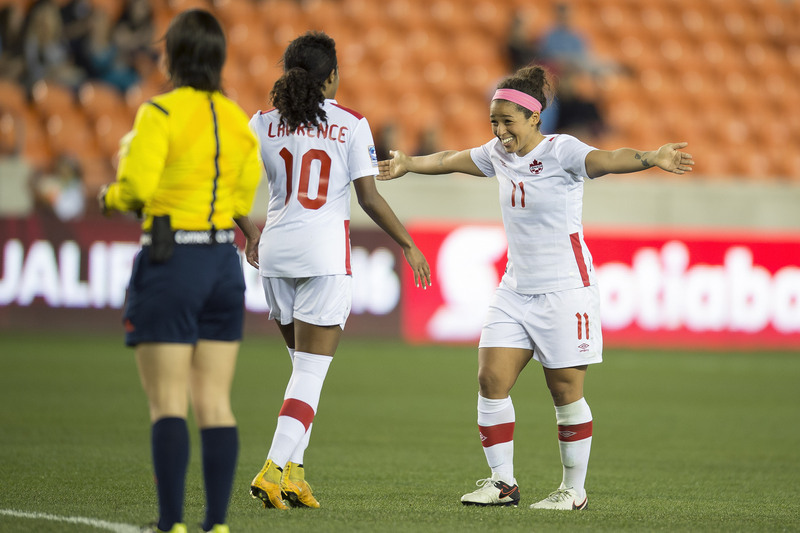 Apart from the Olympics, Desiree’s favourite competition was the 2015 Fifa Women’s World Cup, where she not only played on Canadian soil but in front of a Winnipeg crowd filled with friends and family. When she’s not playing soccer or with her family, Desiree enjoys spending time coaching and helping out in the community. Currently an ambassador for KidSport Winnipeg (a charitable organization which helps offset registration costs for families who can’t afford to put their children in sport), Desiree helps run a soccer camp, now in its third year. I want to be a person and athlete who my family, city and country can be proud of. 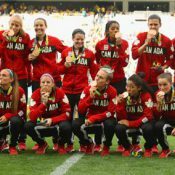 The women’s national soccer team went into the Rio Games with the intent of ending the tournament with the sound of the Canadian anthem. Following a devastating semifinal loss to Germany, the women re-focused their efforts and rose to the challenge as they took on host nation Brazil in the bronze medal match. 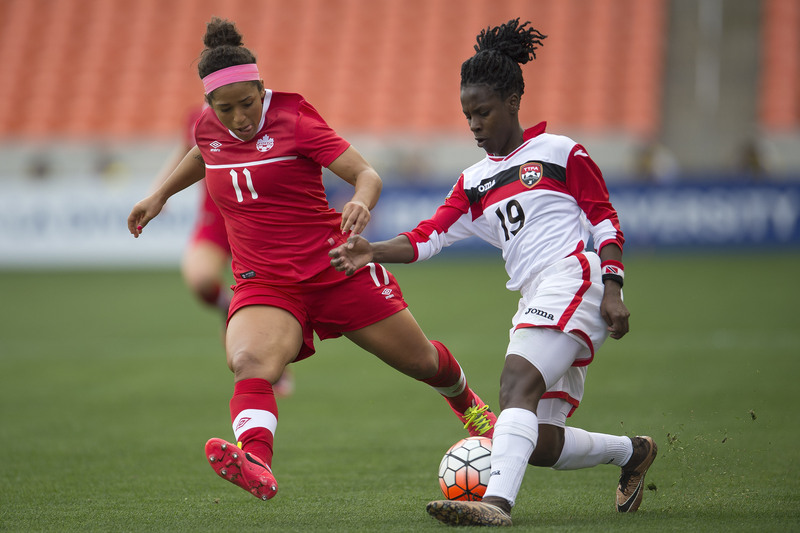 The women’s team was victorious, winning bronze for their second consecutive Games. 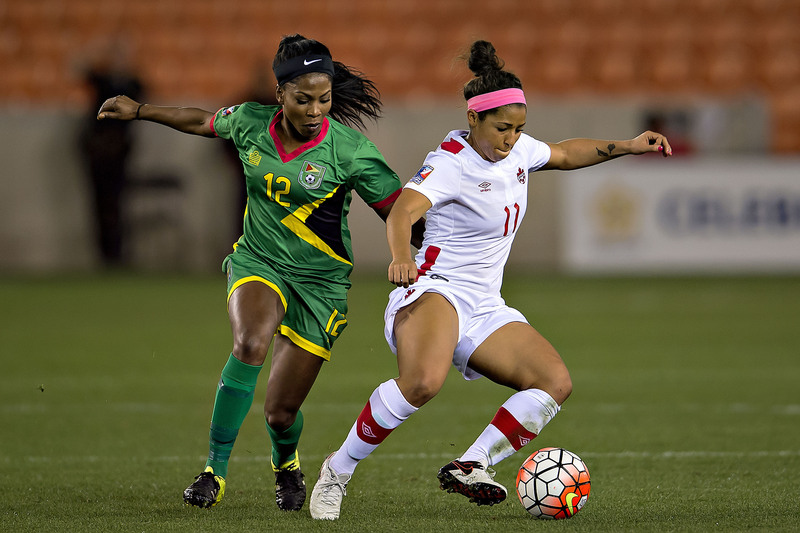 2016 Rio Olympics – Result: Desiree and Team Canada took home bronze in a 2-1 victory against Brazil. 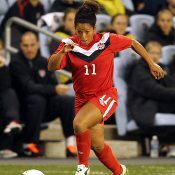 Desiree Scott will be back with FC Kansas City for a second straight season. 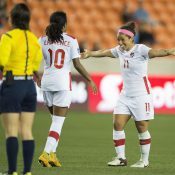 The National Women’s Soccer League unveiled its allocation list for 10 Canadian women’s national players Wednesday, and Scott has been assigned to the Blues for the 2017 season. The third annual girls’ soccer camp led by Desiree Scott has raised $20,000 for KidSport Winnipeg. The camp was held October 29-30 at the University of Winnipeg and included 135 kids aged five to 18. 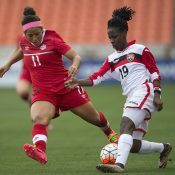 CBC MANITOBA (Oct 29) The next generation of soccer stars took to the field on Saturday with their role model, Olympian Desiree Scott. The third annual Desiree Scott Soccer Camp brought out girls aged eight to 18 to run, shoot and tackle with the professional player.